My roommate and I were in Paris for the day yesterday in order to attend the Premiere Vision trade fair for fabric and accessories, and we decided to treat ourselves to a swanky breakfast before the show at the Park Hyatt Paris. 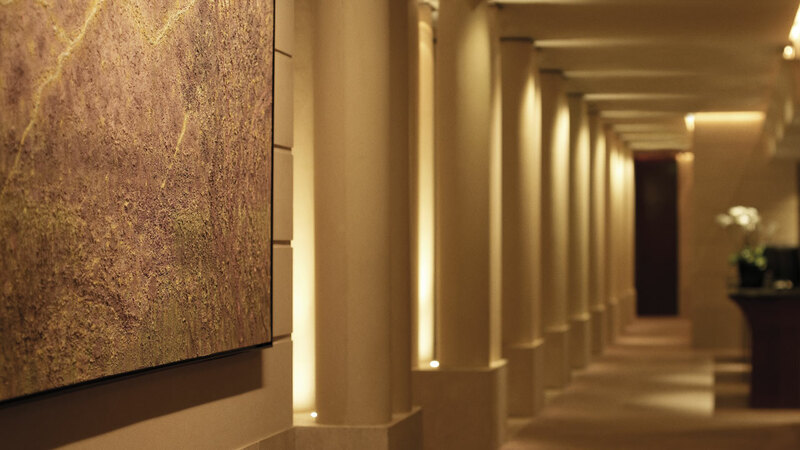 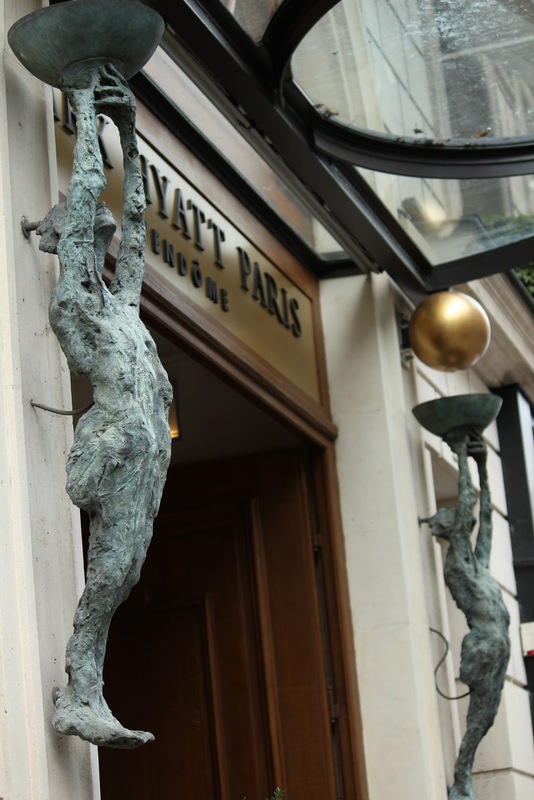 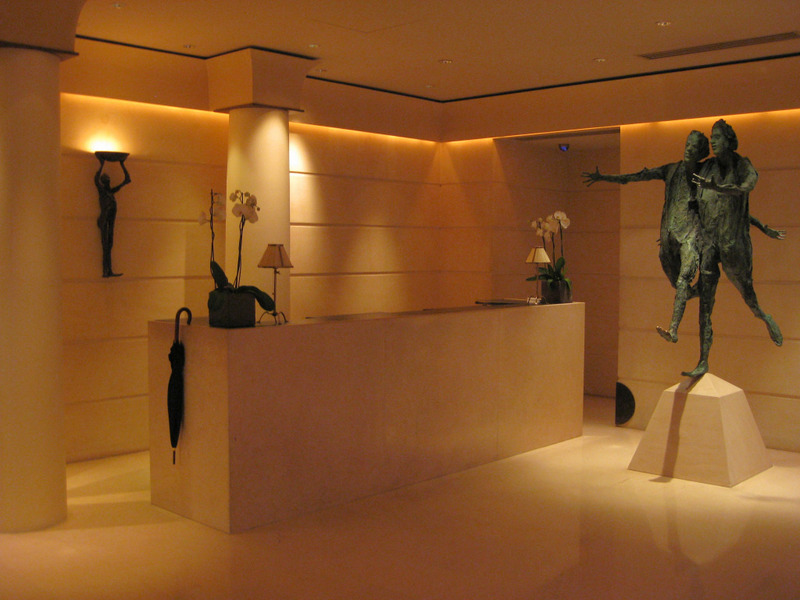 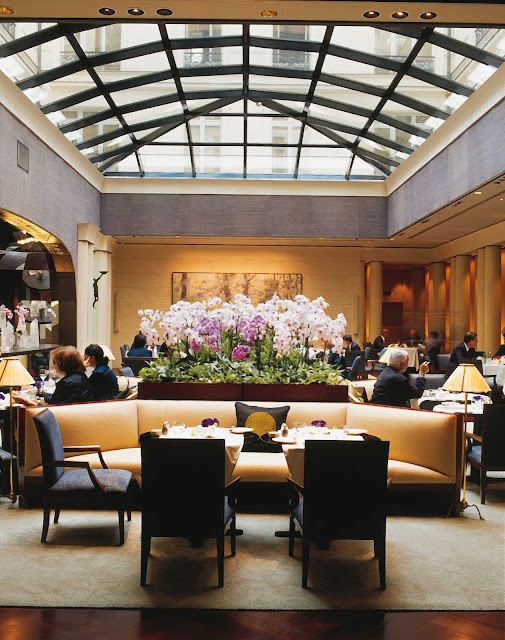 Located in Place Vendome just a few doors down from the famous Ritz Hotel, the Park Hyatt has a modern interior with cool neutral tones that provide a peaceful oasis of calm as soon as you step through the lobby doors. 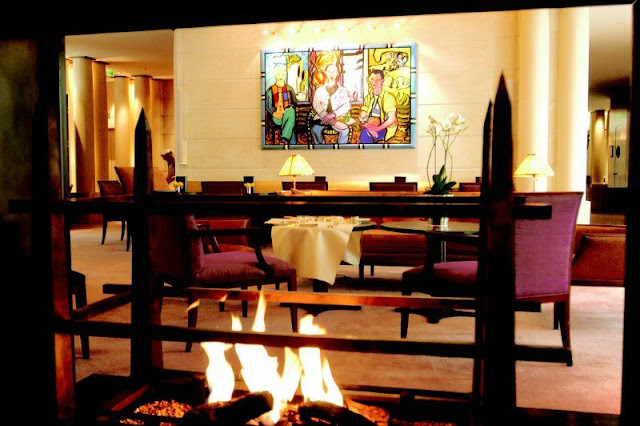 We decided to eat our breakfast by the fireplace (Paris was freezing yesterday!) in the La Cheminee room. 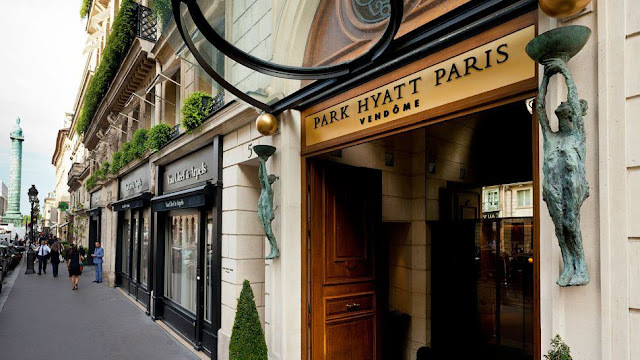 The Park Hyatt Vendome is also a lovely space in which to take afternoon tea after a long day of shopping on nearby Rue St. Honore. I've never stayed here, but judging by the photos, the rooms look sumptuous, and you can't beat the location.